We're renewing an old water main so we can continue to efficiently supply, quality drinking water to your home and to local businesses. 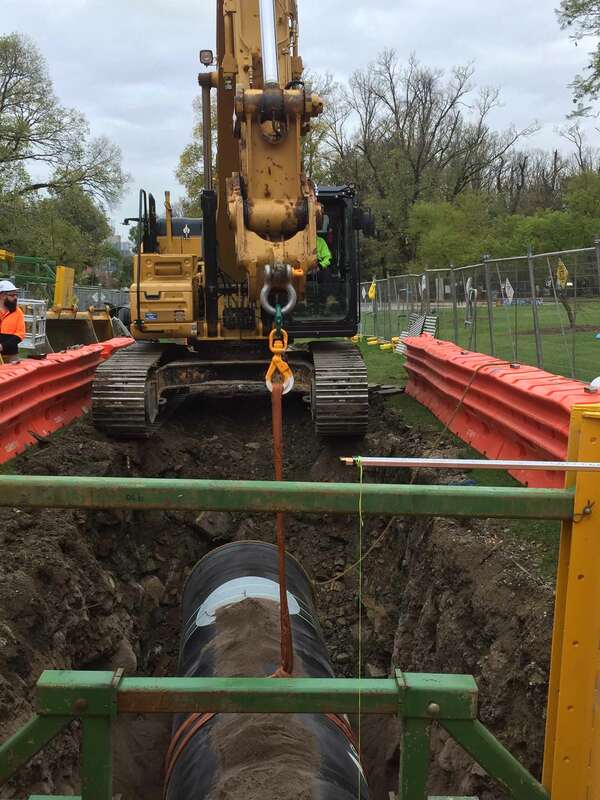 We are pleased to announce that works are flowing well at the M41 Water Main Renewal Project where we are renewing the almost 100 year old water main. The M41 Water Main supplies high-quality drinking water to over 350,000 Melbournians. 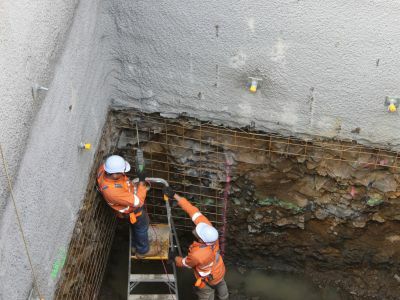 With more than 50% of the Project complete, we are moving into the final phase of our works in East Melbourne. 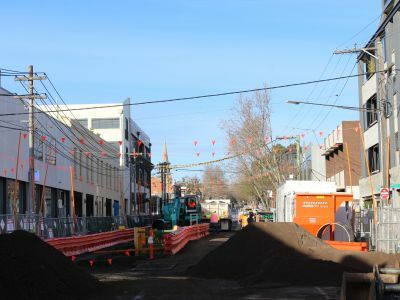 As we work our way along Albert Street in East Melbourne, motorists and cyclists can expect some disruptions along their travel route. 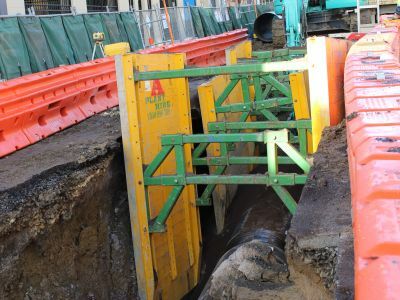 Planned for May, we will be crossing te Wellington Parade/Clarendon Street intersection which will mark the completion of major pipe laying works in the area. 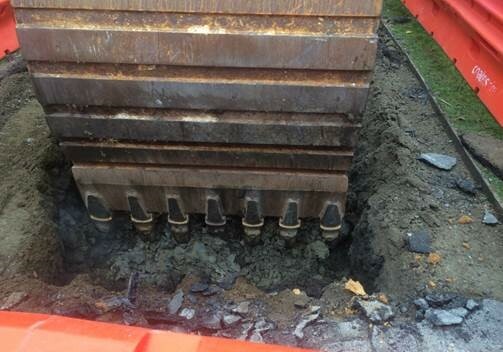 Reinstatement will continue along the project alignment as we finish up some major sections of work. 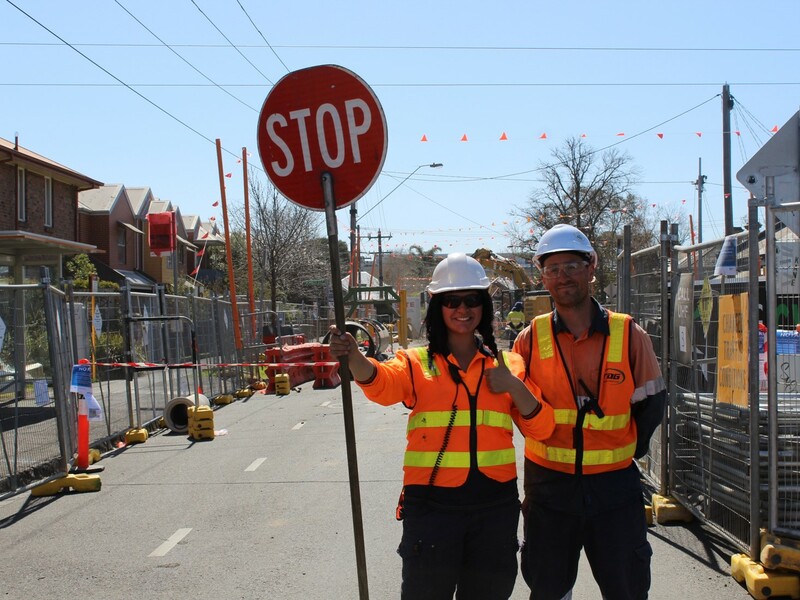 We’d like to thank residents in Napier, George, Bennett and Falconer Streets for their patience whilst works are being completed in their areas. 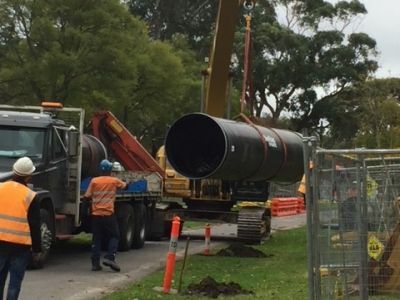 The M41 water main is almost 100 years old and needs to be replaced so that we can continue to efficiently supply drinking water to over 350,000 residents and local businesses living in Melbourne's inner suburbs. continue to supply high quality, safe and reliable drinking water. This project contributes to our strategic vision of ‘Enhancing Life and Liveability’ in the greater Melbourne region. We held two community information session on Thursday 10 August and Saturday 12 August 2017. We held four community information session during the month of March. Follow us for updates on localised disruptions. 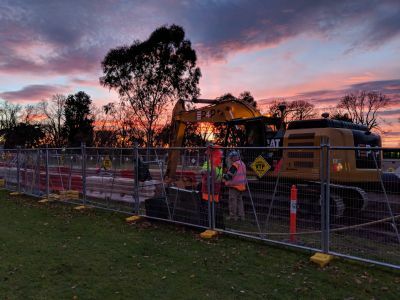 Why does the M41 water main need to be renewed? When will construction start on the M41 water main? Will there be any impact on my water supply? 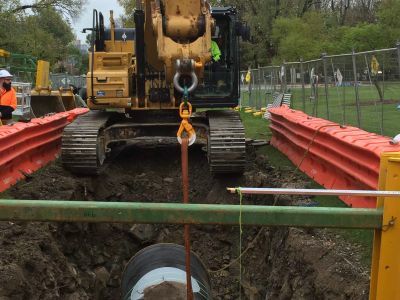 The M41 water main is almost 100 years old and has been assessed as being at high risk of failure in the near future, and therefore needs to be replaced. 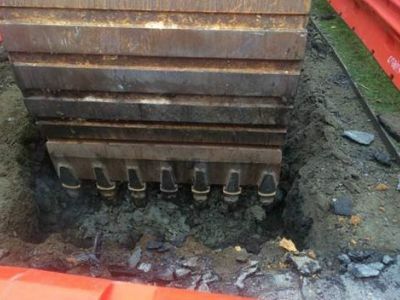 Renewal works on the M41 water main will prevent a major failure on this main from occurring, which would have severe consequences should such a failure occur over the warmer summer months. The contract to construct the M41 water main renewal project was awarded in February 2018. Geotechnical and service location investigative works will start in early March 2018. Construction will start in May 2018. No. 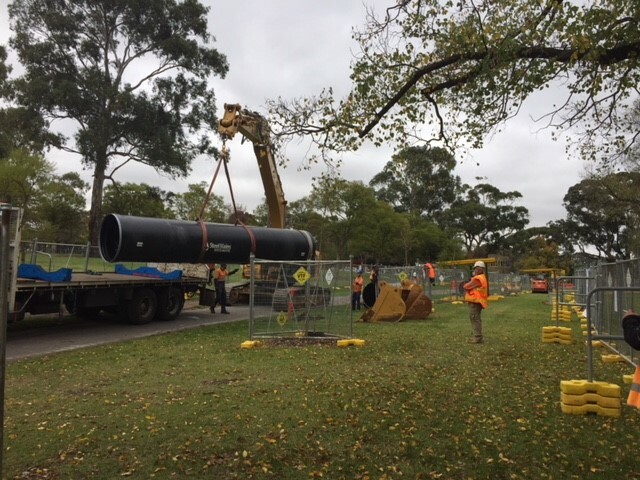 Melbourne Water does not expect there will be any impact on your reticulated water (wastewater /sewerage services) while this work is being completed. If there is a change to your water supply or wastewater system, please contact Yarra Valley Water on 132 762 or City West Water on 132 642. 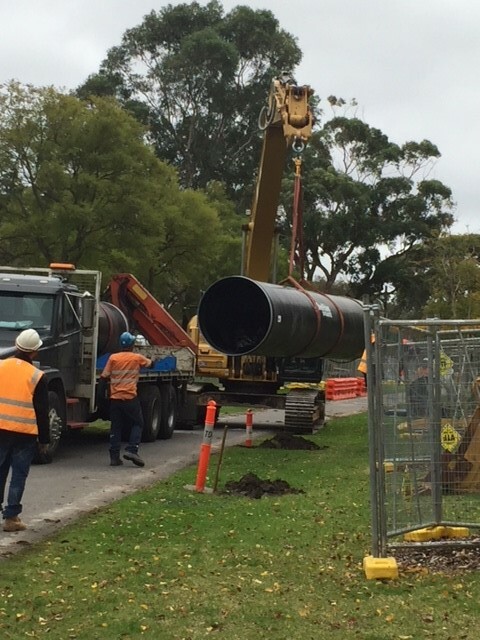 If you have any questions or feedback on the M41 Merri Creek to MCG Water Main Renewal Project, please get in touch.